For us, one of the biggest sources of clutter is printed documents. While we make an effort to keep our important printed documents filed, the sheer volume of mail and other printed documents we’ve received in the mail can be overwhelming at times. Obviously, the first step in this process is to have a good system for keeping documents filed. A filing system, where the documents are relatively out of the way and in some sort of coherent order, can certainly be a big step in the right direction. Still, even with that solution, you have a large volume of papers taking up space if you’re careful about retaining documents. The next step in the process is to move to an electronic filing system. You take your documents and scan most of them into your computer rather than saving them in paper form. Even with this move, you still have some potential for clutter. To protect yourself against identity theft, quite a few documents you acquire need to be shredded and, if you’re not immediately efficient with the shredding, that can also create clutter. The best solution I’ve found for avoiding document clutter entirely is to simply avoid printed documents whenever I have the option. Whenever you have the opportunity, sign up for services that allow you to receive statements electronically rather than in paper form. This can drastically reduce the amount of paper flooding your mailbox. Many services for which you are billed will happily distribute statements and bills to you electronically. Often, what will happen is that you’ll receive an email when there’s a new bill available, at which point you log on and check it, then pay it via check or online banking. I usually make a point of saving the statements to my local computer, where I maintain my own file of electronic statements. Of course, one key part of making this work is making sure that your computer is secure, but this is something you should be doing regardless of whether you transition to paperless methods. You should be running a strong antivirus package and an anti-spyware package. If you’re not running anything else, you should at least run Microsoft Security Essentials, which is free. Another reason for doing this is that, if your computer is properly secured, you’re reducing avenues of identity theft. The fewer documents with personal information in your mailbox, the fewer routes for identity theft in your life. 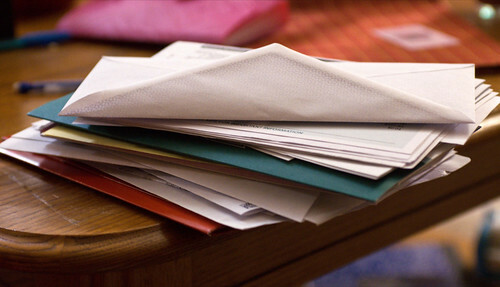 The more bills you receive in paperless form, the fewer papers you recieve in your mailbox. That means less clutter and, most likely, fewer routes to identity theft as well.